Calculus. For some of us, the word conjures up memories of ten-pound textbooks and visions of tedious abstract equations. And yet, in reality, calculus is fun and accessible, and surrounds us everywhere we go. 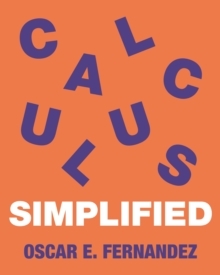 In Everyday Calculus, Oscar Fernandez demonstrates that calculus can be used to explore practically any aspect of our lives, including the most effective number of hours to sleep and the fastest route to get to work. 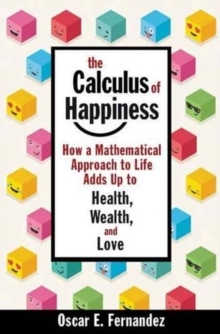 He also shows that calculus can be both useful--determining which seat at the theater leads to the best viewing experience, for instance--and fascinating--exploring topics such as time travel and the age of the universe. Throughout, Fernandez presents straightforward concepts, and no prior mathematical knowledge is required. For advanced math fans, the mathematical derivations are included in the appendixes. The book features a new preface that alerts readers to new interactive online content, including demonstrations linked to specific figures in the book as well as an online supplement. 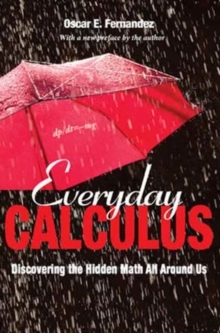 Whether you're new to mathematics or already a curious math enthusiast, Everyday Calculus will convince even die-hard skeptics to view this area of math in a whole new way. Pages: 168 pages, 47 line illus. 1 table.